Who is not fashion conscious and want to be up to date these days? Yes, we all want to stay up to date. So, going with contemporary fashion and style has now become a part of our days. For this, we often buy magazines and watch lots of fashion-related television programs. But doing that is now not very common as men and women have gotten advantages from their Android phone. So, some best Fashion apps for Android can help you in this case. So, you must understand how you can be helped with an outfit maker app. Thinking about this, I have decided to write about the best Fashion apps for Android. 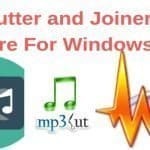 All are free, and you can easily and quickly install and use them. You can also check the features of those apps here so that you can get helped in choosing the right app for you. 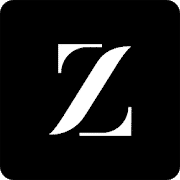 ZAFUL – My Fashion Story is an amazing fashion app for Android, dedicated to the young generation. It is a go-to guide and clothing store for youngsters and adults alike. Provides numerous catalogs and integrated hassle-free direct buy options for quick and easy functionality. 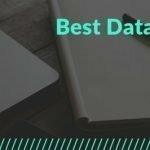 To be more specific about it, you can have a look over its major features. • Offers you to explore and choose from different designs and lots of merchandises. • Provides your personalized search option and make your own outfit functionality. • Includes wish list and favorite marking option for your convenience. • Provides thousands of daily fashion updates and suggestions for new trends. • Integrated with buying option with many offers and daily deals. • Offers you a complete store experience where you can buy fashionable clothing at affordable prices. If you are looking for a personalized women collection store than you are on the right track. 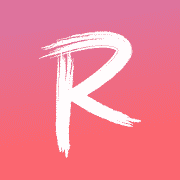 ROMWE- Fashion Store is one, among the rarest all in one woman oriented outfit maker apps you will find in the play store. It is equipped with a beautiful interface and options for direct buy. Also, this modern app includes a good number of amazing features. • Provides you a premium Lookbook experience with updates about new trends and popular fashion. • Offers competitive and relatively low prices for women’s collection and other wardrobe accessories. • Includes daily updates of different styles and outfit collections. • Offers amazing discounts over different products and overall purchase. • Equipped with all available payment gateway for a better buying experience. • Includes regular updates on different merchandise and provides seasonal suggestions for your convenience. Now, I will introduce you to an African heritage oriented women collection based outfit maker app. Kitenge Fashion Styles holds up the unique characteristics of African dress patterns and historical fashion style. It helps to preserve the styles and provides updated dress patterns regularly. It’s also like an all in one type of fashion app with tons of tips and suggestions. • Offers different colors and patterns of outfit collections according to African culture. • Provides modern variations and updated fashion designs for women. • Includes new stylish clothing for different occasions, such as for marriage, casual and formal events. • Provides catalogs of new trendy costumes and own fashion designs from 2018 show. • Offers you ideas and inspirations to maintain your cultural look with style. • The app features a beautiful interface for easy accessibility. An app that is totally dedicated to men’s style and fashion is Street Fashion Men Swag Style. This outfit maker app is equipped with a very beautiful interactive interface with regular updates on new fashion and popular trends. It is one of the most versatile fashion guides for men you will find for free in the play store. • Provides catalogs for various designer clothes. • Gives you access to explore the exclusive designs and patterns of male outfits. • Provides updated and exotic dress code to make you look swag in no time. • You can swap and see various items to choose and preview your desired outlook. • Includes all kinds of men’s apparels and merchandise, ranging from torso to shoe for your convenience. • Provides quick search option and designs with model previews. Being trendy is a unique feature that can not be afforded by everyone. You don’t need to have tons of money to be fashionable. It’s up to your choice and taste and for that we are going to suggest an app that will meet your needs and all that is offered completely free. 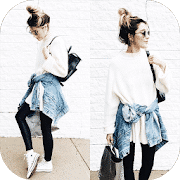 Teenage Fashion Style, for many of its users, is the best fashion app and it is provided with beautiful UI with easy access. • Provides updated suggestions for new trends and hacks for presentable looks. • Offers interactive tools to look into different catalogs for both male and female users. • Includes seasonal dress code recommendations and different models to see the real-time style. • Offers tons of outfit suggestions based on popular TV shows and your favorite actors. • Provides suggestions for cool Jeanswear, shirts and shorts, Jackets and vests, shoes and many more for teenagers of both genders. • Integrated with customization options for your selection of categories. 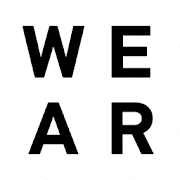 WEAR – Fashion Lookbook is one, among the most popular fashion apps for Android, you will find in the play store. It is equipped with a beautiful interface and customization options for easy and quick suggestions for your outfit selection. It provides endless dress suggestions from updated trends that you can buy to better your outlook. Let’s have a glimpse of the features if you want to. • Offers you tons of fashion idea without your hand at ease. • Includes the latest ideas and trends of outfit styles to keep you updated. • Equipped with a quick share facility to upload and share your looks with the wide fashionable communities using your camera and photo editing tools. • Includes shopping options from different reputed brands for your convenience. • Provides season based popular and updated dress code suggestions. 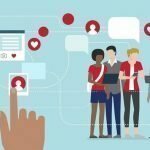 • Includes easy social network connectivity for different social platforms. Your outfit is important for your overall outlook in society. 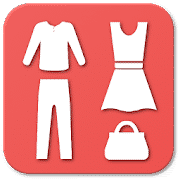 Your Closet- Smart Fashion is another versatile fashion app for Android you will find in the play store. It is truly helpful for your daily management of outfit and gives you an easy solution for managing your apparels collection. Let’s take a look into the features it offers. • Offers very well equipped closet organizer that allows you to explore different items. • Provides customization search option according to color, season, size and popular trends. • Includes color management option and fully customization organizer that allows you to make your own outfit design. • Integrated with advanced search option and mixing of different clothing for your convenience. • Provides note taking and advanced saving options for future reference. • Offers browsing and fully functional shopping option. 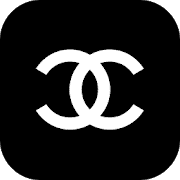 Channel Fashion is a very unique fashion app that gives you a free pass to explore many exclusive collections. It will surely give you an edge to set apart yourself from the crowd. A good outfit choice boosts your overall outlook, and this app will guide you to reach that goal with some taps on your Android phone. • Gives to access to tons of different apparels for your convenience. • Offers personalized suggestions for different types, trends, seasons and popular demand. • You can explore and buy directly from the app. • Gives you options to find nearby outlets of Chanel boutique lines. • Provides you interactive notifications of different events and release of new collections. Men Fashion Clothes Style is one of the very few best fashion apps that is dedicated to male users. It is equipped with interactive UI that gives you easy functionality to browse through updated fashion trends. This app offers personalized and seasonal suggestions for your daily wear to maintain your stylish outlook. You can look into more of its offerings here. • Offers latest trends and popular outfit suggestions according to a different season. • Gives you an option to explore from different popular brands and unique outlets. • Includes customization matching and mixing options for different apparels to make your own outfits. • Provides your suggestions for your every outlook for different events whether it is casual, street or formal. • Offers you wide range of collections, such as gym wear, bags, sports footwear, watches and many more. • Includes daily updates and provides new ideas & inspirations for your unique style and outlook. Let’s talk about another male-oriented fashion app that will guide to get the best outlook you need. 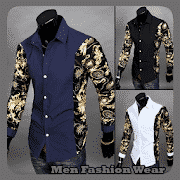 Men Fashion Wear is all you need managing your daily outfits. It is integrated with multi-functionality and easy to use interface for a better overall experience. Let’s dig deep into its key features here. • Provides you a large collection of exclusive designs of menswear from reputed brands. • Gives you advanced access to the exclusive new designs so that you can get updated fashion ideas. • Includes new floral pattern men vests and shirts to match your outfit. • Provides updated denim wear patterns and designs to cope up with the new trends, ranging from jackets, pants, shirts and many more. • Includes lots of cargo pants and trousers catalogs for your convenience. • Offers seasonal fashion recommendations to keep you updated. So, what do you think about this list of fashion apps for Android? Do you already make your choice? If you still ask me to be more specific, then I will suggest you try ZAFUL – My Fashion Story or Chanel Fashion. It doesn’t mean that others are not relevant. All of them are good and free fashion apps for Android. So, you can try any of them without any doubt. Let me know about which one you have picked up. Don’t forget to share your experience with that. Thank you for staying with us.